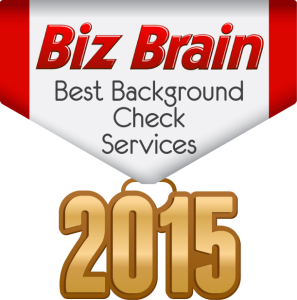 In this article, we share our picks for the top 15 background check services available in 2015. Employers have so many things to worry about these days. Hiring a person for a job for which they are not qualified can lead to a negligent hiring lawsuit. Negligent hiring judgements average almost $1 million. Because of this, more and more employers, even small businesses, have begun running even more extensive background checks. Criminal checks are just the tip of the iceberg in the modern market. There are employee screening services that offer drug testing, prior address verification, and resume vetting, all streamlined in a convenient plan that can take a load off an employer’s mind. 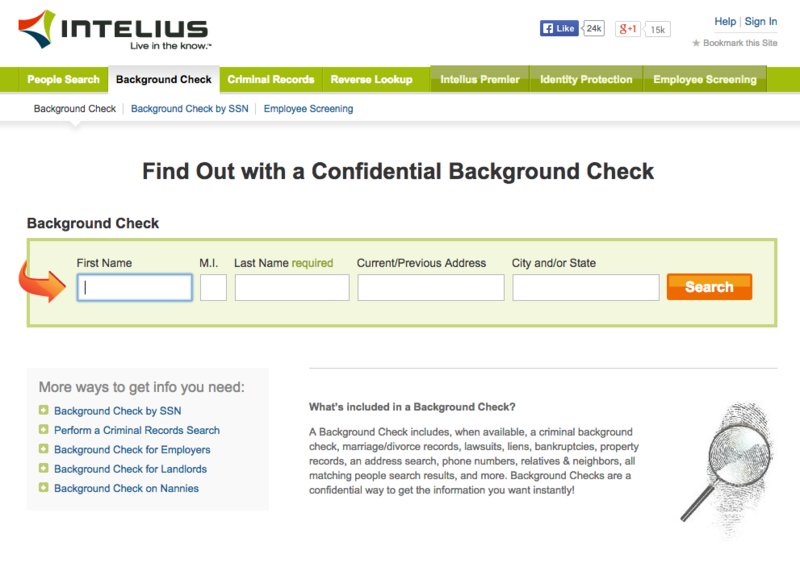 There are also personal background check services. These tend to be less reliable and streamlined, and more labor intensive. They are not to be used for hiring purposes and are intended for people checking up on potential dates and other personal matters. Most of the services for personal use have suspect reputations and are not as helpful as they claim, but we have included one of the best of these for people looking for this sort of service. The rest of the services on this list are primarily for employers (though some also offer services to employees) seeking to streamline their hiring process through an FCRA compliant company to minimize their own liability and hire the best person for the job. The Services and Flexibility ranking was determined by the number of services offered by the company, and the flexibility of their application. The companies were ranked according to a few priorities. First, preference was given to those companies that are FCRA regulated. Second, preference was given to companies that provide easy access online to their pricing to give the customer an idea of what they will be paying without having to call the company for that information. Then preference was given to the company with the higher Services and Flexibility score. If companies are tied on Services and Flexibility and all other information is equal, they should be considered tied. Intelius is not a consumer reporting agency as defined by the FCRA. This means that its services are geared more toward individuals seeking background checks for personal reasons than it is people that want employee screening background checks. 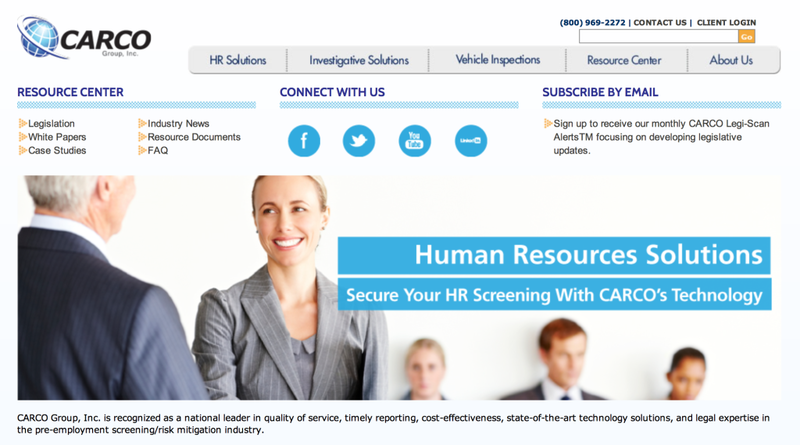 Because it’s not an FCRA regulated company, it is inadvisable for employers to use this service. 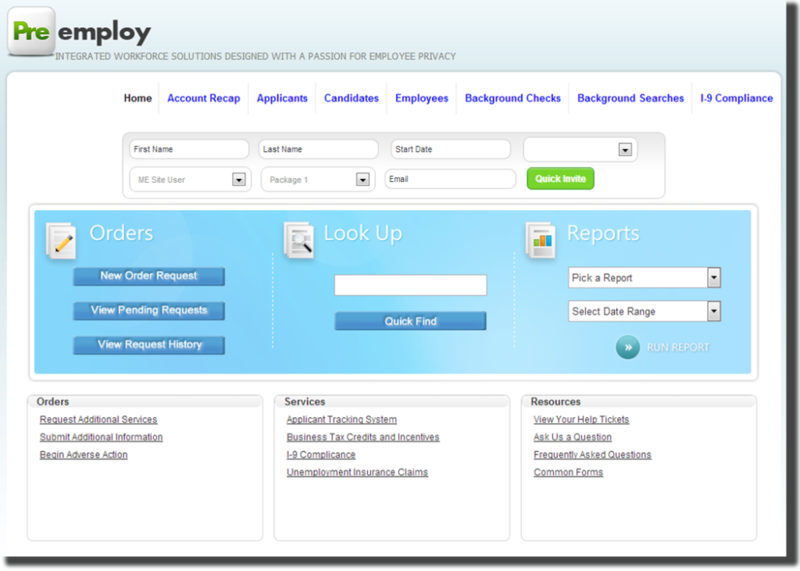 The services and price make Intelius one of the best choices for bare-bones background checks in the personal market. Addon Pricing: All Services Included. EmployeescreenIQ has been in business for over 15 years. The company is NAPBS accredited and claims to find discrepancies between resumes and reality in 50% of circumstances. EmployeescreenIQ offers global solutions for the global marketplace. The company is one of the few that is Safe Harbor-accredited, meaning they can ensure the protection of client information, and compliance with both EU and U.S. laws. Accurate Background Inc. is a leading employment screening service regulated by the FCRA and accredited by the NAPBS. 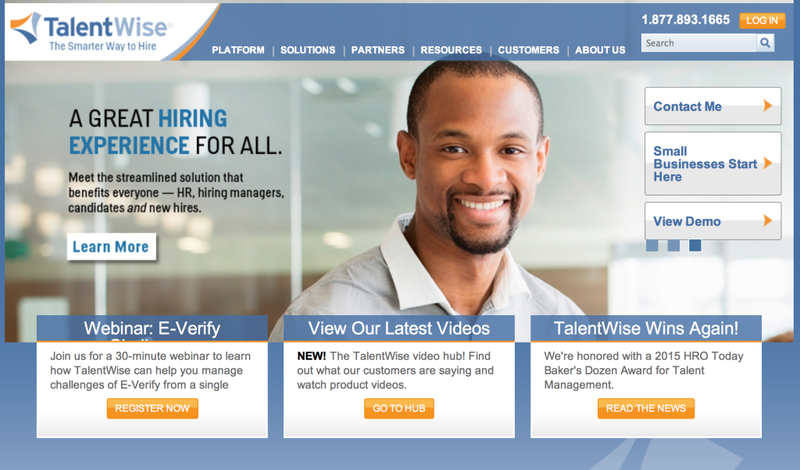 The company uses a leverages technology to help reduce risk when hiring. This is an important service, as lawsuits for injury or other adverse events due to improper hiring of unqualified candidates can result in massive judgements against your company. Services are tailored to your needs, which means you won’t find yourself paying for more than you need, or getting less. Pre-employ is FCRA regulated and NAPBS accredited. It was also rated among the top employee screening services in the business by HRO Today. The company does employee background screening, using background checks, and also provides I-9 Compliance, Employment Verification, and Drug Testing services. 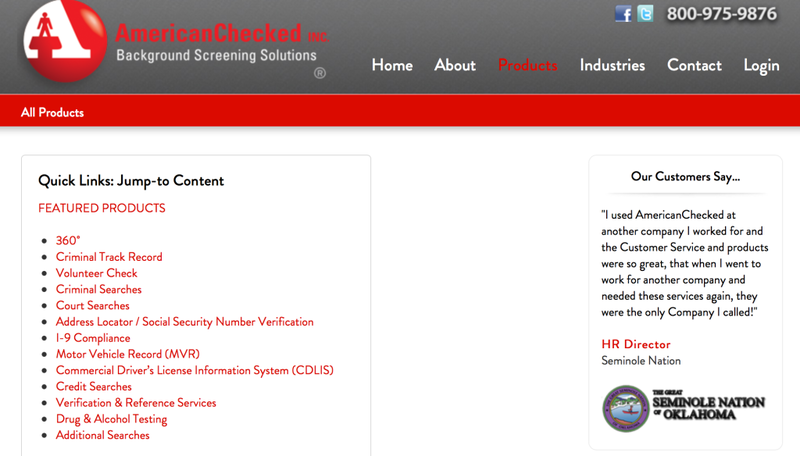 There are numerous items to choose from when selecting what information to verify in your background screenings. This NABPS accredited employee screening company offers three different packages, and and option to create custom packages tailored for each potential hire, taking into account the position for which your company is hiring. The customer service team is conveniently U.S.-based to ensure quality of service. Additionally, all employees are FCRA certified, and AmericanChecked is DBE and HubZone certified meaning it is owned, controlled and operated by people in a disadvantaged situation, in an underutilized business zone. 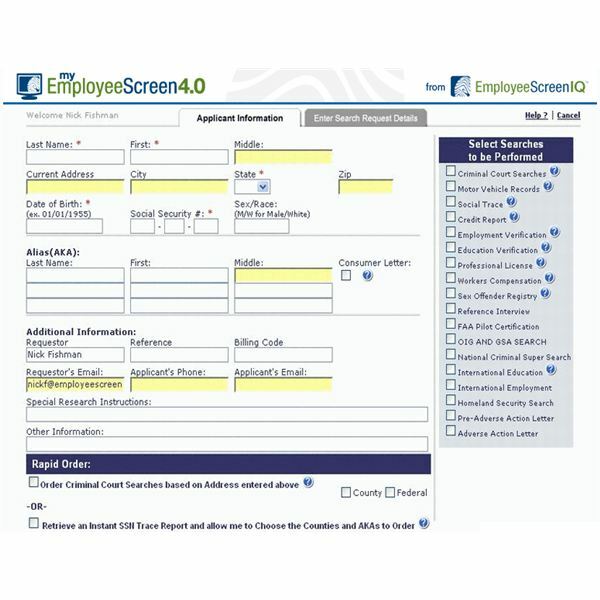 This NAPBS-accredited employee background screening service offers extensive background checks with up to ten services including Education, Credential Verification, and Driving History. In addition to its actual background check services, Backtrack Inc. offers a wide range of support to customers including white papers on various issues many businesses face in hiring, liability, and employer actions against employees. Edge Information Management offers just about everything imaginable in the employment screening industry, including acquiring copies of original court documents, both employment and tenant screening services, driving history, and electronic fingerprinting, and that’s just the tip of the iceberg. The company is NAPBS-accredited and prides itself on its flexibility in creating tailored solutions for customers. 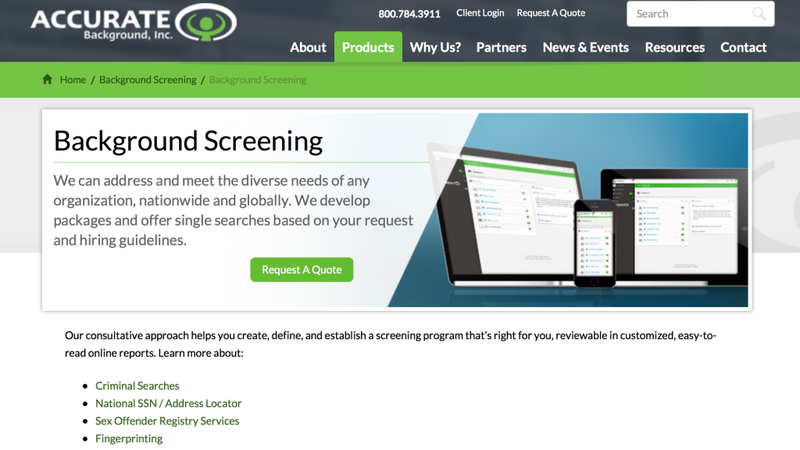 This company is FCRA-regulated as a consumer reporting agency and, what’s more, is National Association of Professional Background Screeners accredited. The company is designed to provide employment background screening and support services to businesses of all sizes. 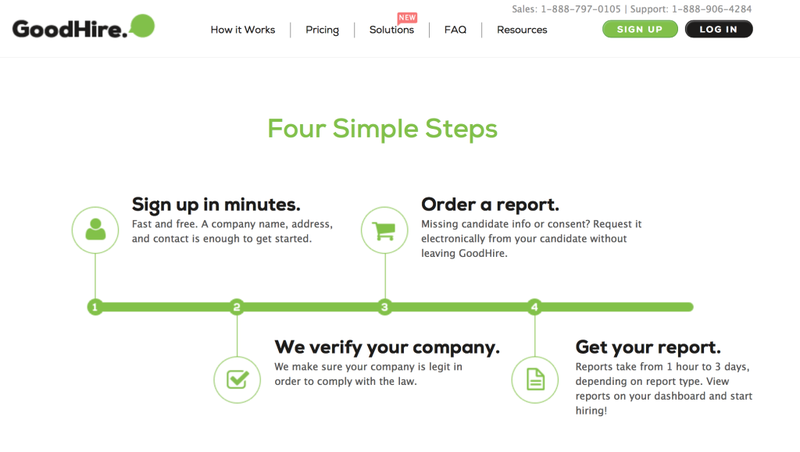 The company also offers an auditing service to make sure hiring practices are FCRA-compliant, among many other solutions beside employee background screening. The company doesn’t publicly post prices because its packages are custom-tailored to the needs of the business in question. Carco Group strives to adapt its services not only to your needs, but to custom fit, and improve your hiring process. 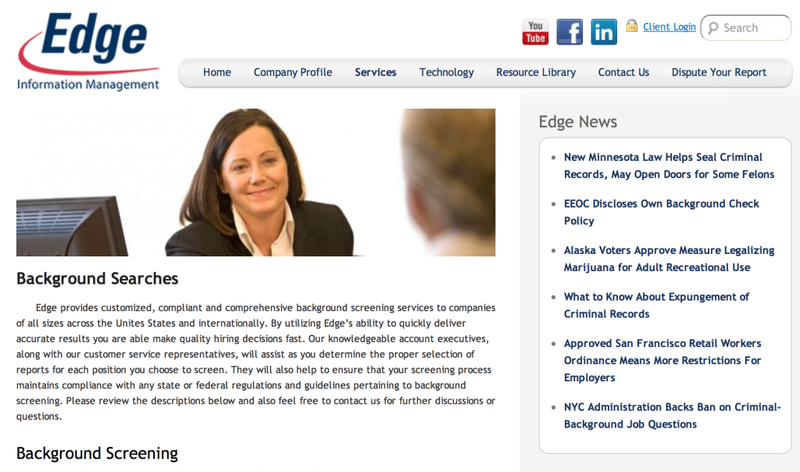 Extensive background screening services are offered, as are some enhancement services. International screening is offered through Carco Group’s supplemental international partners, of which there are over 350 local agents around the world. 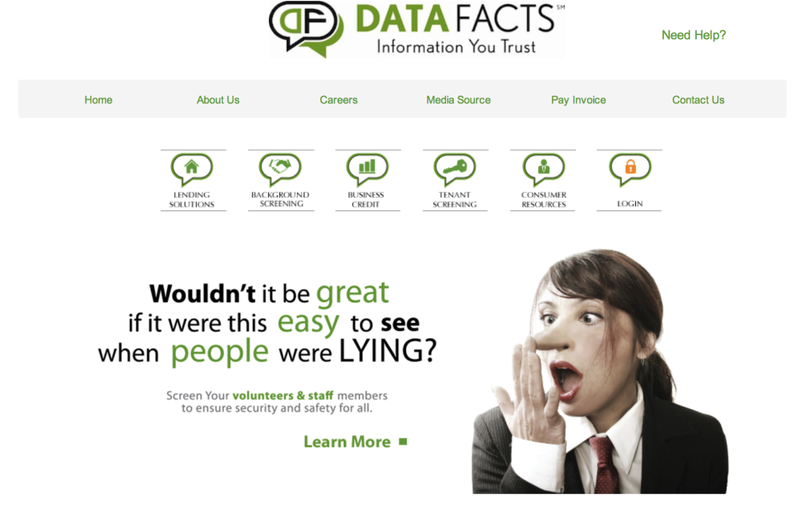 Data Facts offers extensive screening services including social media, industry specific screen in everything from retail to healthcare, and a post-hire screening called “Infinity Screening.” Data Facts is a member of numerous industry organizations like Concerned CRAs, and the National Consumer Reporting Association, on top of being accredited by the NAPBS. 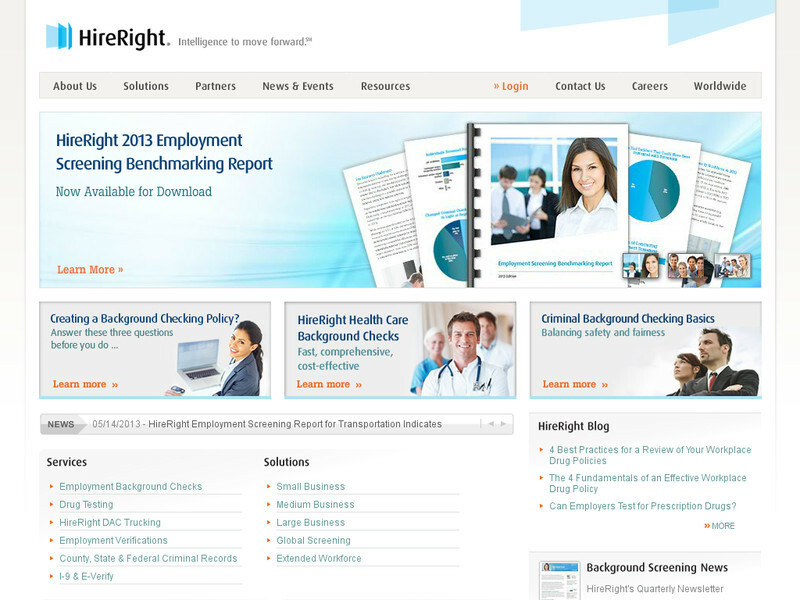 Hire Right has a global presence in over 200 countries and territories and provides business solutions and critical information services to more than 27,000 customers. Just because the company has a big scope doesn’t mean they only work with large clients. Client size ranges from sole proprietorships to multinational corporations, including approximately 21 percent of the U.S. Fortune 500 companies and more than 30 percent of the Fortune 100. All those high profile clients and somehow they still manage to actually list their prices, which are incredibly competitive. Good Hire believes that they should be as up front with their customers as their customers hope applicants will be with them. Thus with Good Hire the pricing is clear and concise. Their clients know what they’re paying for, and there are no hidden fees or minimums. The service is simple, and the customer support is U.S.-based. They are NAPBS and Better Business Bureau accredited, along with being members of the International Association of Privacy Professionals. The hiring process isn’t becoming easier, and many people may find it downright difficult to manage. Good help is hard to find. Talent Wise offers a streamlined hiring process solution designed to help HR professionals and business owners make the best decisions for their business. TalentWise is there from start to finish to help your business through the process. 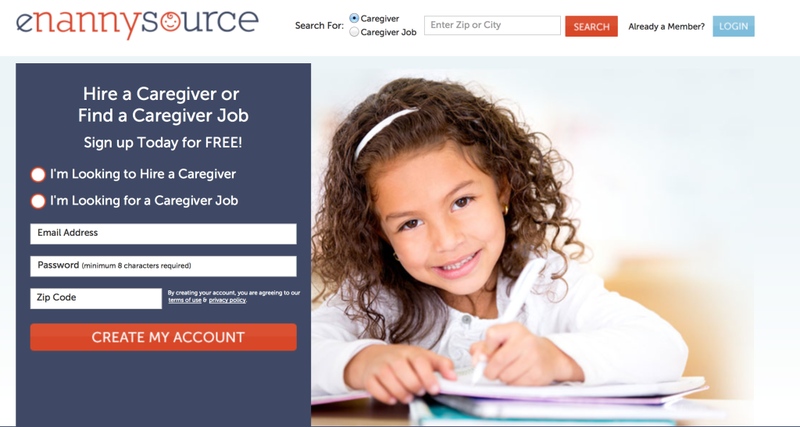 This service is perfect for parents looking for child care. You can sign up for one, three, or six months, and you list your criteria and job. Nannies that have already been approved through the background screening process apply for your listing, and you can see the important information on each applicant. It’s perfectly streamlined. While not accredited by NAPBS, it is FCRA regulated ensuring you get the information you need, presented in the way you need it. Addon Pricing: Subscriptions are all inclusive. First Advantage offers competitively priced background screening services. While the packages cost similar to those of non-CRA operations, First Advantage is recognized as a CRA by the FCRA and regulated as such. This means that small businesses can feel comfortable that their background check services are compliant. The company also has a global presence which makes it a good choice for small to mid-sized businesses with international dealings which is more and more common in the global marketplace.